It’s SUniG (Singapore University Games) 2015 season and SIT had their first match on Wednesday night against SMU! Both schools’ floorball teams put up a tough fight and at the end of it all, it resulted in a draw of 3-3. Proud of our girl, Sin Ying for representing SIT as well as for making almost-shots! Although she has said that she’s still got a lot to improve on, we’re still recognising her efforts nonetheless. 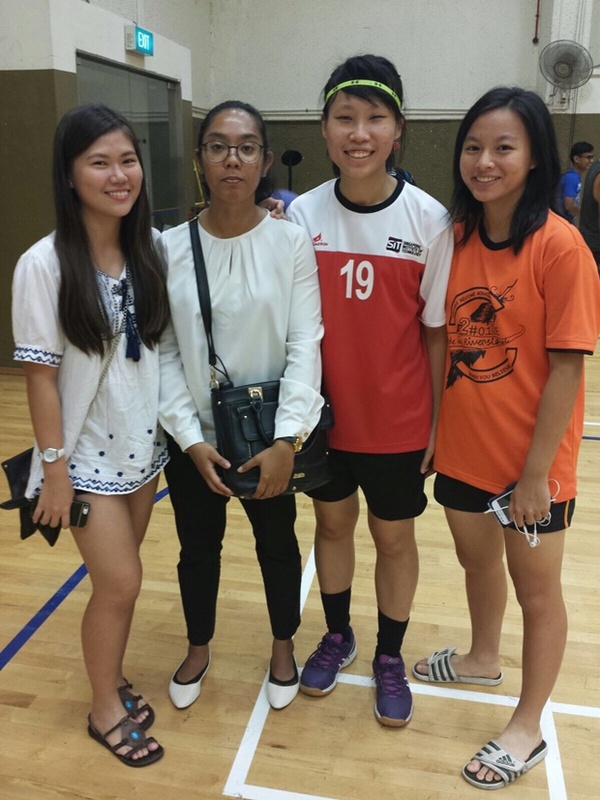 Thanks too, to our girls Shavon, Nab and Yx for going down to support Sin Ying! We hope you girls enjoyed the match! Next Next post: Our FIRST Div 1 win!